Are you ready to get jazzy? Jazz piano is a crowd-pleasing genre that you find at weddings, restaurants, and bars. Have you been wanting to get in on the jazz piano scene? You’ll need to know some classic jazz piano songs. The following are some of our favorites, which we think well defines the genre. Make sure you pick up some sheet music for the songs below. Walt Disney gave us a lot of gifts and one of them is this classic song from Snow White. The song “Someday My Prince Will Come” the song from his first full-length motion picture is beautiful on piano. Check out this version by vocal sensation Barbara Streisand. The song is a smoother version of jazz than the kind you’d find in a dueling piano bar. The chords are easy on the fingers and the melody sticks to the classic jazz harmony structure. If you’re still working on playing both hands at a time, you can play the melody slowly and get away with it. On the other hand, you can modern it up a bit and play it fast and staccato. It’s up to you. No matter how you play it, make sure you practice and do Daddy Disney proud! If you want something a little more fun to dance to or more energizing to play, Satin Doll will get you there. This super-popular classic was popularized by Duke Ellington and we thank him for it. It’s a good song for beginners since the whole tune is at the same tempo. If you have a love triangle going on in your life, this tune is even more appropriate. Legend says Duke wrote it for his long-time mistress, Bea Ellis. Romantic, isn’t it? Whether the legend is true or not, Billy Strayhorn came on board to help with the harmony and some of the lyrics. It’s rare to hear the jazz piece played and sung these days, but if you want a treat, you can check out this Ella Fitzgerald performance. Other big Jazz names have taken a whack at this classic, other than Fitzgerald. Wes Montgomery and The Oscar Peterson version are two well-known covering artists. Jerome Kern wrote this beautiful love song in 1939, at the height of the jazz band obsession. Tempo and beat wise, it’s a little harder to get the hang of then the first two on our list. If the intro sounds a little offbeat to you, that’s ok, that’s how he wrote it. In technical terms, the whole song is written in a chord sequence of 5ths. There are a few visits to E major, but mostly the chords are recognizable. The song is short, however, if you want to take a whack at learning it. You’ll only play for about two and a half minutes. We would be kicked out of the jazz community if we didn’t mention this jazz – what’s bigger than a classic? Jazz piano staple. Even if you hear the first five seconds of the song you know exactly what it is, musician or not. If you have a friend with a sax, this is an awesome song to jam out to together. The vocals are simple if your singer can get down the quick changing rhythm. The Brazilian Bossa Nova classic even won a Grammy in the 1960’s. If you like to sing while you play, impress your friends by learning the original Portuguese lyrics. If you want another classic song that’s a challenge, but in a fun way, play yourself “Green Dolphin Street”. It’s got a bunch of cool stuff going on, like how the style goes from Latin to jazz to swing all in one song! It’s all around the A chord level and it’s structured in an ABAC format. The catchy melody and three section changes keep it lively. That’s probably why it’s requested at Jazz and piano bars all over the world. If you didn’t sing that title, what’s wrong with you? Just kidding, but we do have a warning about this uber-popular song. Once you learn it, you’ll never stop playing it. There are almost no romantic occasions that don’t feature some version of this song. Learning it will open up a life of constant requests. However, you may not mind playing it. It has a nice melody and it’s easy to get into the finger work. Learning this song involves some technical work, you’ll need to play chords in a circle of 5ths and 2-5-1’s in different keys. If you can handle playing those and the diatonic melody notes, you’re set to go! The oldest song on this list, Sweet Georgia Brown is a treat to play. It was written in 1925 and captures the fun, yet classical mood of the 20’s era. There are a bunch of changes in this song, but you have four bars per chord to get used to the new section. This is another song you can start out slow, then get faster to make it swing. You can convince this song it fits into a blues bar if you play it just right. 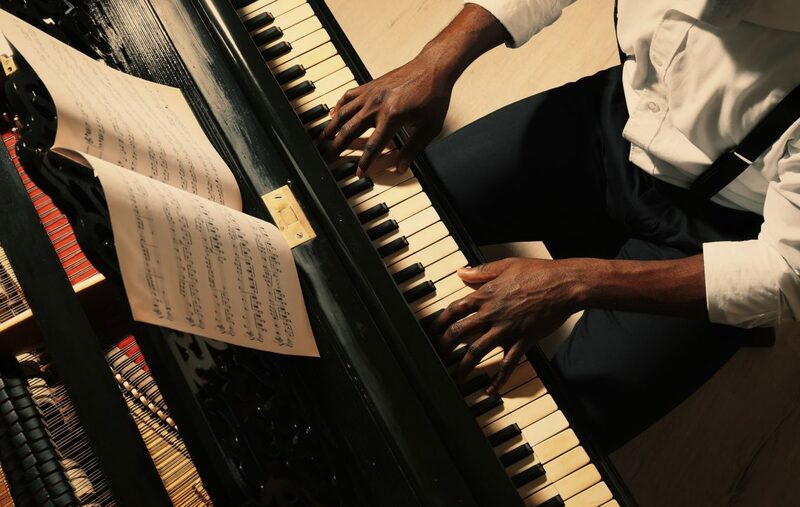 If you want to learn these classic jazz piano songs, you’ll need a good teacher. You can find one at your local music center, or on the internet. For more articles on the best piano songs out there and about living a musical lifestyle, check out our site. We bring the best musical talents together to deliver content. Check it out here.